A delivery of Scotty Brand raspberries arrived and the raspberry making machine had to begin turning it’s wheel. 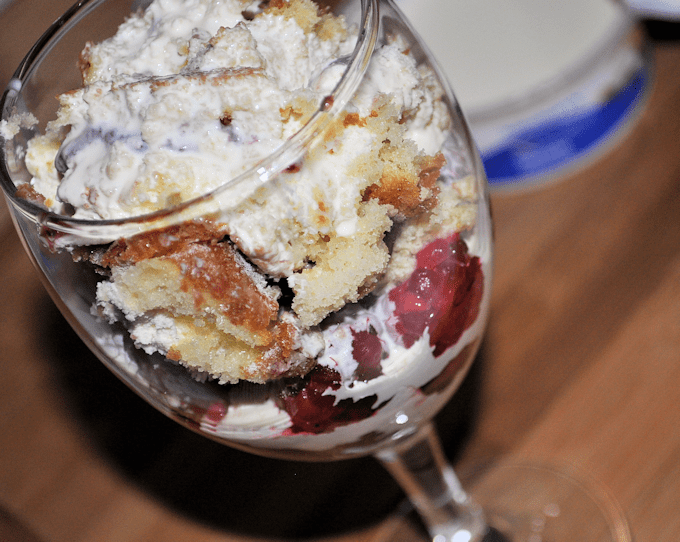 With some sponge cake left over from another day, I decided to make a lovely little glass of fast and delicious raspberry trifle. Follow Scotty Brand on Facebook or Twitter to keep up with their newest recipes and news. For now, my deceptively delicious raspberry trifle it is. You don't have to be precise with this recipe, as it really is a simply cheats way to make a gorgeously tasty dessert in a few minutes. 200g double cream. Half for whipping and half for use as pouring cream. 200g left over sponge cake. Add washed raspberries to the bottom of the glass. Slice sponge down the middle and spread with whipped cream and jam. Cut the sponge into chunks and place on top of the raspberries. Pour the remaining pouring cream over the top of the dessert, to allow it to soak into the sponge and the raspberries. LOVELY! 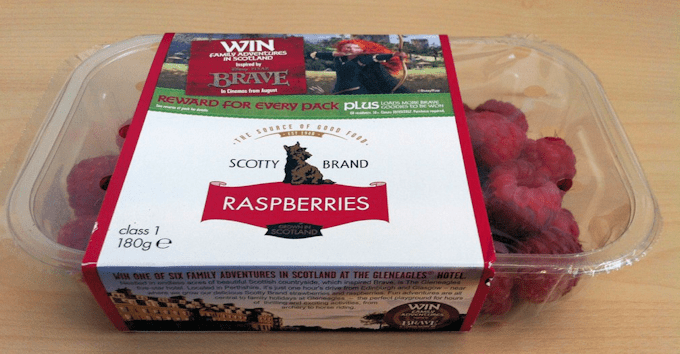 I am making an old Scottish recipe with mine – a dessert and the raspberries are SO lovely! Raspberries are lovely any time.